Novelist Steven Pressfield, having achieved critical success as author of bestseller fiction with such titles as Gates of Fire, The Legend of Bagger Vance, Killing Rommel and The Profession has long been keen on sharing the secrets of his success with aspiring writers. This led in turn to Pressfield’s emergence as a writer of non-fiction beginning with his highly recommended The War of Art and continuing with Do the Work, Turning Pro, The Authentic Swing and Nobody Wants to Read Your Sh*t. The specific emphasis in these books varied but the overarching goal was for Pressfield to help his readers become writers, real professional writers who could wrestle with their inner enemy of creativity, “Resistance” and emerge victorious. While The Artist’s Journey continues in that vein, in it we see Pressfield’s evolution not just as a writer but as a thinker and teacher. Where previous books had examples were almost entirely granular and biographical The Artist’s Journey has a more meta feel, going more toward the roots of human creativity that undergird novelists, poets, musicians, painters and even scientists. It seemed, at least to me, in reading The Artist’s Journey that some of the introspection present in The Knowledge and the panoramic epic conflict in The Lion’s Gate, his novelized history of the Six Day War, have impacted Pressfield’s ideas about the importance of theme and imagination in human understanding. 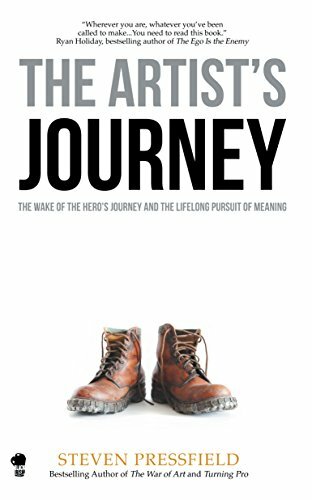 Organized into staccato chapters reminiscent of a Stoic’s handbook, The Artist’s Journey borrows from the concept “the hero’s journey” and the monomyth theories of seminal literary scholar Joseph Campbell. To Pressfield, the artist is the returned hero. Having conquered, returning home bearing gifts for the people, the adventure has only just begun. 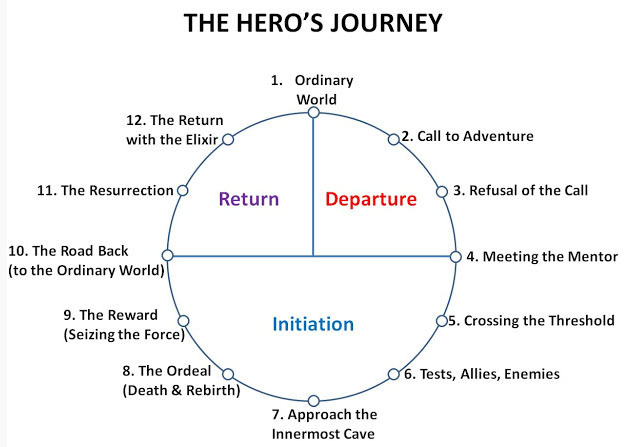 The trials of the hero’s journey were the necessary rehearsal for becoming an artist. “Monet like every artist was working simultaneously on both planes. Have you ever observed your mind as you write or paint or compose? I see my awareness shuttle back and forth, like the subway between Times Square and Grand Central Terminal, from my conscious mind to my unconscious, my superconscious. ….The process is to me one of those everyday miracles, simultaneously mind bending in its implications and as common as dirt. Like the act of giving birth, it is at the same time miraculous and everyday. This paradoxical explanation resonates with the views of experts on the functioning of the creative mind. Kyna Leski visualized and theorized the creative process as being akin to a thunderstorm. Sir Ken Robinson describes creativity as accessing “alternative ways of seeing, thinking and doing” while being “essentially human”. E. Paul Torrance, the researcher who did more than any other figure to investigate and measure the characteristics of creative thinking as a scientific process admitted “Much of it is unseen, nonverbal and unconscious. 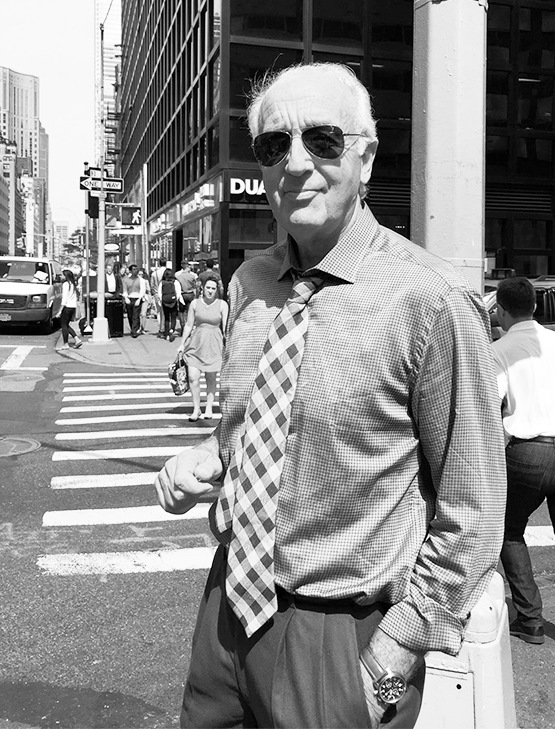 Therefore, even if we had a precise concept of creativity, I am certain we would have difficulty putting it into words.” In finding comfort for the artist in the ambiguity and contradictions of creativity, Steven Pressfield finds himself in good company. The Artist’s Journey is not the same kind of book for aspiring writers as some of Pressfield’s previous works. For those struggling with the question of “Can I?” or the skills and practicalities of earning a living as a writer would be better served turning to The War of Art and Turning Pro. But for those who are on the way in a creative field and struggle with their footing with artistic vision or finding confidence in the integrity of their voice, The Artist’s Journey is both a guidepost and hymnal. This entry was posted on Monday, August 13th, 2018 at 11:20 pm	and is filed under Uncategorized. You can follow any responses to this entry through the RSS 2.0 feed. Both comments and pings are currently closed. Mark, Great review. Steve’s books changed my life forever. In the Army, we always knew “what to do”…we just didn’t always know “how to do it”. Steve has hit the mark with his new book. It truly resonated with me. I hope you are well. Keep up the great work. More a study companion than a book review. Nice work. Good insights in this piece. Thank you, gents! Much appreciated! Joe – you’re correct (thx BTW) I’ve read a lot of Steve’s books which helps but I figure ppl can get a straightforward review on Amazon or Google if that’s what they need so I try to add value in other ways. As you know, Zen, I focus much of my attention on the creative leap itself, at the junction of two otherwise disparate realms of thought. I’m always aware, though, that this linking of thoughts — Coleridge speaks of the “hooks and eyes of memory” — supposes a moment of opening, involving teo lwayers of thought if you will, the conscious and the unconscious, interacting in ways Pressfield (in your account) focuses on to a considerable extent. His Stoic mind-flavor is far distant from my own poetics, but all the more valuable as a corrective. I suspect there are specific ways to practice the surrender which prepares the way for aha!, and forms of education — areas of thought, m”recommended readings” — which nourish the unconscious — but more on that, time permitting, later..
One thing I learned recently is that the “a-ha!” moment that occurs in the superior template gyrus tends to momentarily depress the parts of the brain related to optical nerve processing, perhaps this is to allow the brain to more fully focus on the imaginative concept that insight is generating? That’s fascinating about optical processing, Zen. And your last paragraph, funnily enough, comes close to recapitulating my trajectory for the last fifty years.. The HipBone Games, of course, are designed to teach the surrender and leap that constitute the precise heart of creativity. And if I was teaching this method as such, at the moment I’d focus on the use of DoubleQuotes rather than the more complex Hipbone Games as the basic drill. As to the education of the mind in preparation for insight, I’m thinking in terms of Kekulme and his vision of an ouroboros, and Watson and Crick, and their “discovery” of th e Double Helix, which is pretty clearly prefigured in the caduceus and also the path of ida and pingala around the spine in kundalini arousal. It’s my impression — and I’d add qualifiers to both examples if I wrote them up at length — that familiarity with the patterns those shamans, zen monks, yogis and sufis you mention, often in graphical form, prepares the mind for precisely those experiences at a deep level. That’s why so many of my posts are concerned with forms, and the ouroboros in particular, and I think that’s another way of saying what you have said in that last paragrph: I think that reading and pondering the visions and koans of the zennists, yogis and sufis might help the Kekules and Cricks of this world arrive at their chemical and genetic insights earlier, and with greater certainty.